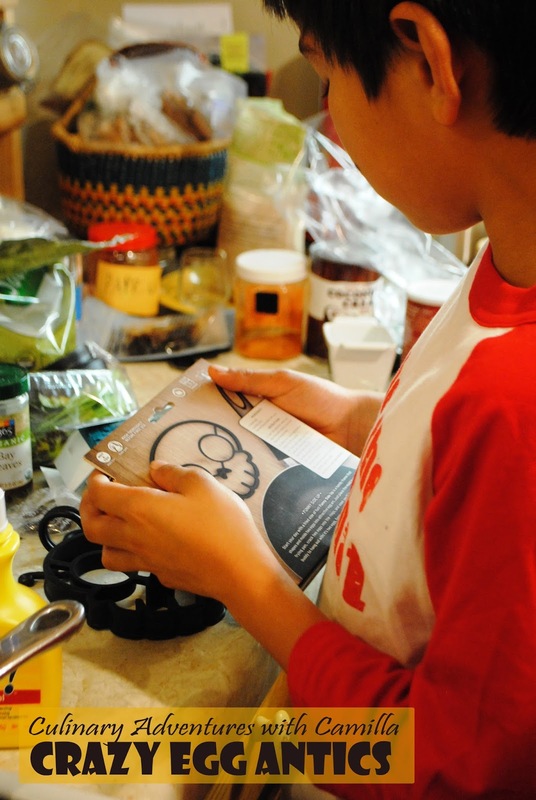 No real recipe here, just some photos of Christmas presents that the boys received from their cousin Charley. 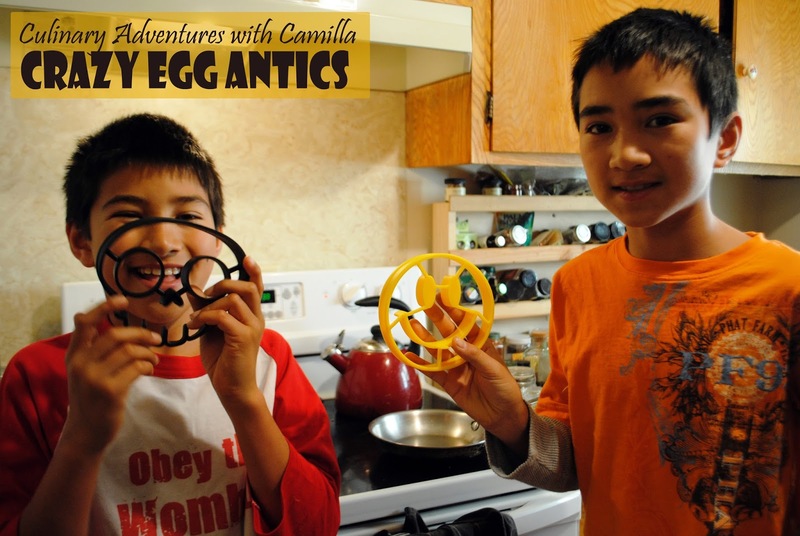 These are FUN...and we like to play with our food. 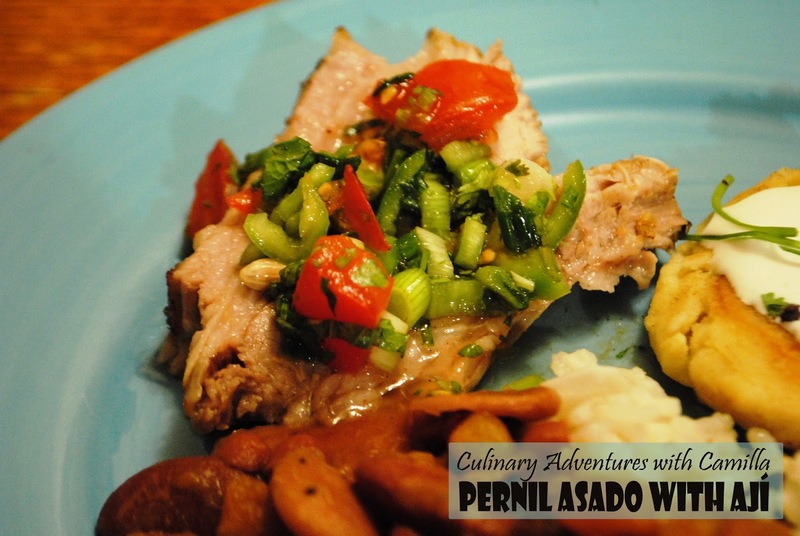 Ají is a sauce that can be found in practically every restaurant in Columbia, regardless of the region. I never found a recipe that showed proportions, so I made it up! Also, I believe that ají means habanero; mine doesn't have because I forgot to add it. Whoops. Still this was a hit. I think one of my guests actually drank the sauce from the bottom of the bowl! Stir all of the ingredients together in a mixing bowl. Let stand for 15 minutes so the flavors can meld. You can barely see the rice under that heap of beans, but since the rice was delicious, I'm sharing the recipe despite my lack of photos. Sorry! I don't know why I didn't take any in-progress shots. This process of preparing coconut rice comes from Colombia, and involves cooking the coconut milk until it separates and the coconut solids caramelize. The resulting toasted coconut flavor is then cooked into the rice, along with the delicious crispy bits of browned coconut. Raisins add a touch of sweetness, but this is definitely a savory rice. 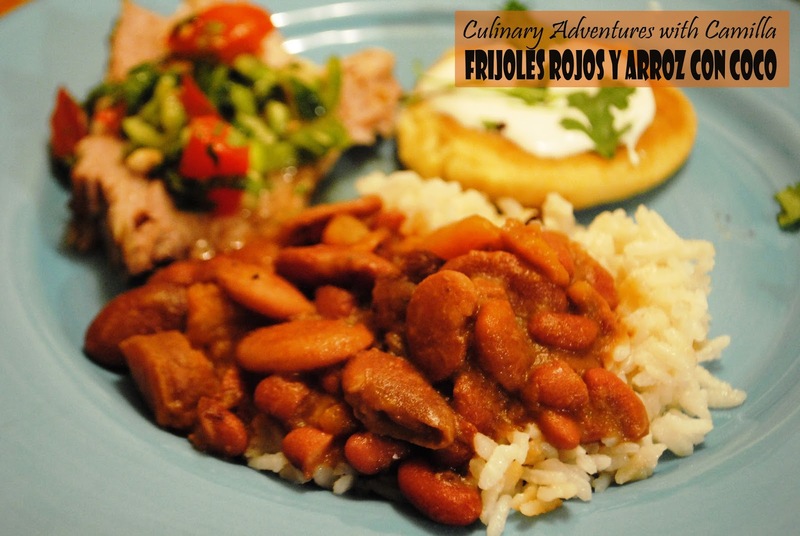 It was delicious with our red beans. 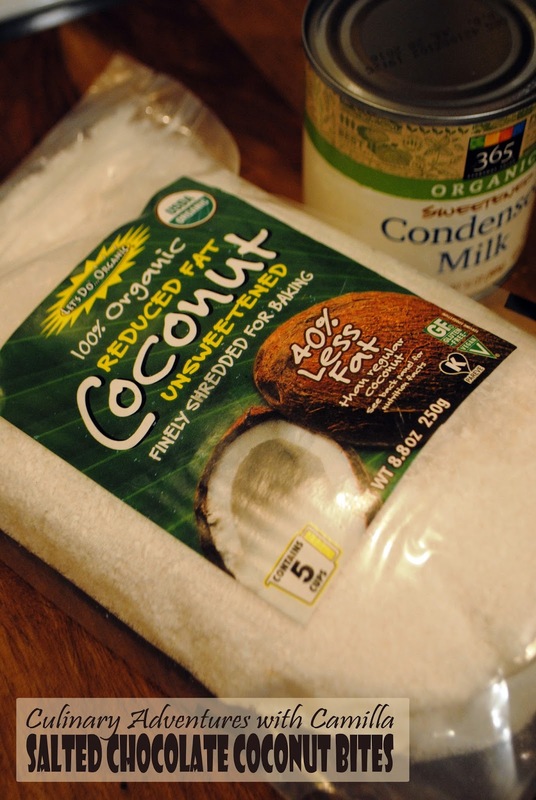 Place coconut milk in a large pot and bring to a boil. Simmer until the coconut solids separate from the oil. Cook and stir constantly, until coconut solids are nicely browned. Stir in the rice and raisins. Pour in the water, salt and sugar. Add in the cinnamon stick. Bring water to a boil, then reduce heat and simmer, covered, for approximately 20 minutes. Remove from heat, leave covered, and let rice steam for an additional 10 minutes. Fluff and serve. 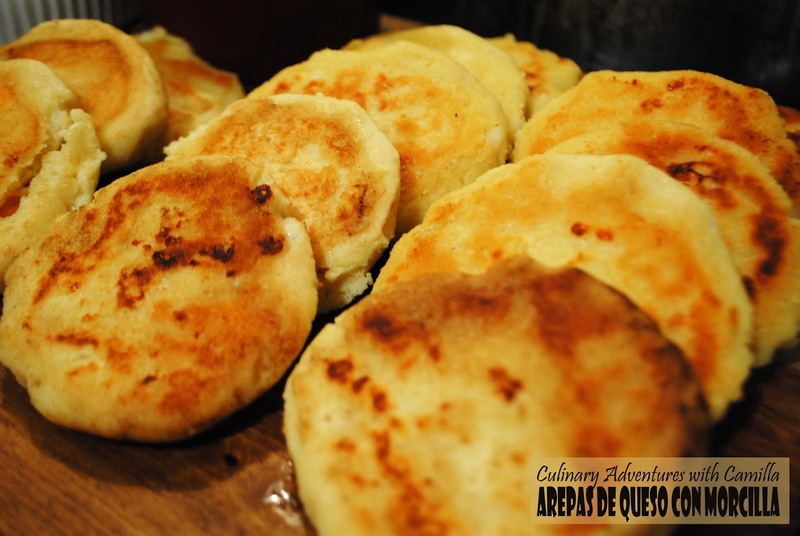 When I started planning my post-Christmas Columbian feast, arepas kept coming up in my search. 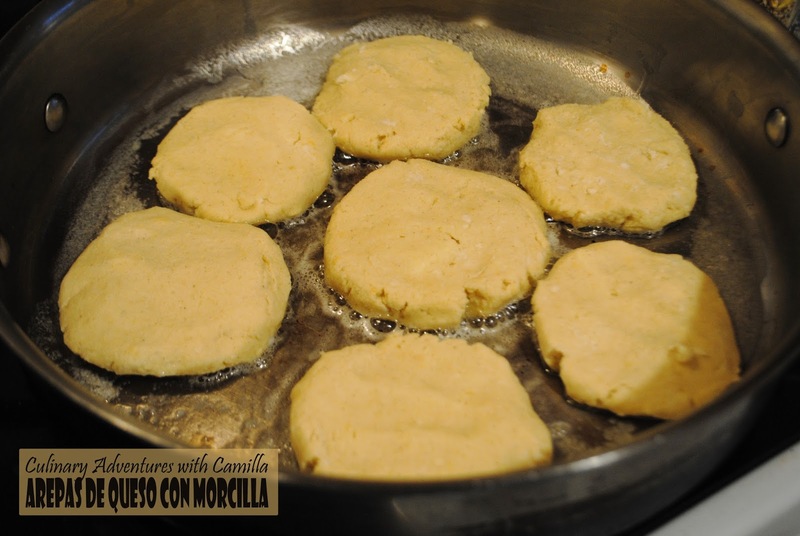 I know this is inaccurate, but think of them as thick, stuffed tortillas; they are more like corn cakes, I suppose. We liked them so much, I've already made them again. In any case, I started with R's Handmade Corn Tortillas and went from there. We stuffed ours with queso fresco and topped them with crumbled morcilla, blood sausage. I had just picked some up from Boccalone in the Ferry Building. Place the masa harina in a large mixing bowl. Add the hot water and stock. Stir with a spatula or wooden spoon until well-combined. Stir the egg yolk and butter into the dough. Cover with plastic wrap and let rest for 15 minutes. Separate the dough into 16 pieces and roll each piece into a ball. Make an impression in the ball with your thumb. Spoon some queso fresco into the hollow. Then press the dough together into a ball again, trying to keep the cheese enclosed as much as possible. Flatten the dough to about 1/2" thick. 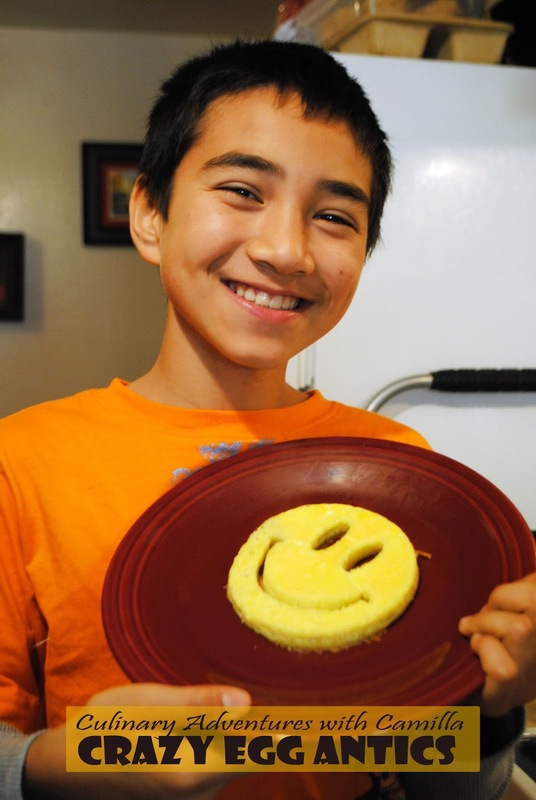 Melt a pat of butter in a large, flat-bottom pan. 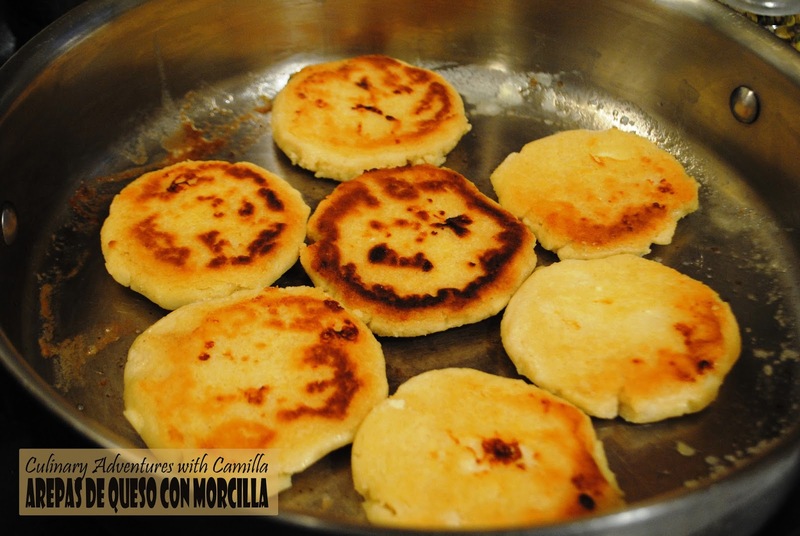 Cook arepas in batches, adding more butter if needed. They should cook approximately 5 minutes on each side - till the outside is dry and crusted, but the inside is creamy and soft. 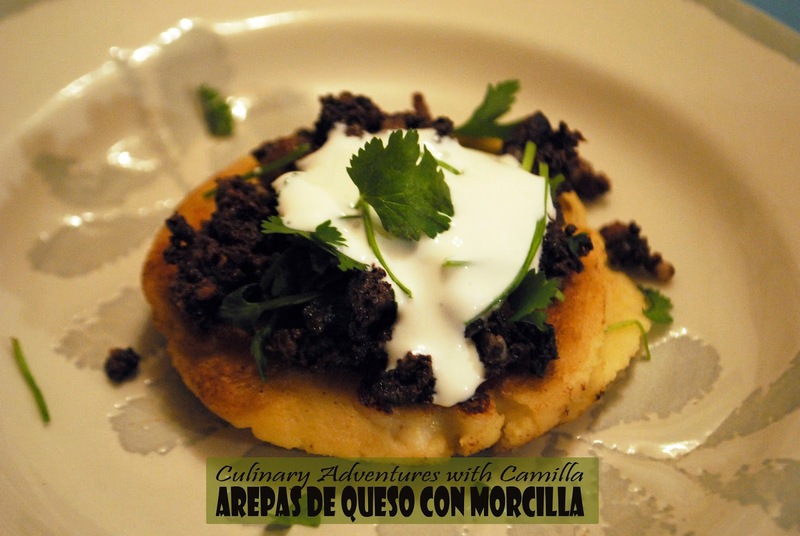 Serve hot, garnished with crumbles of morcilla, crema Mexicana, and fresh cilantro. 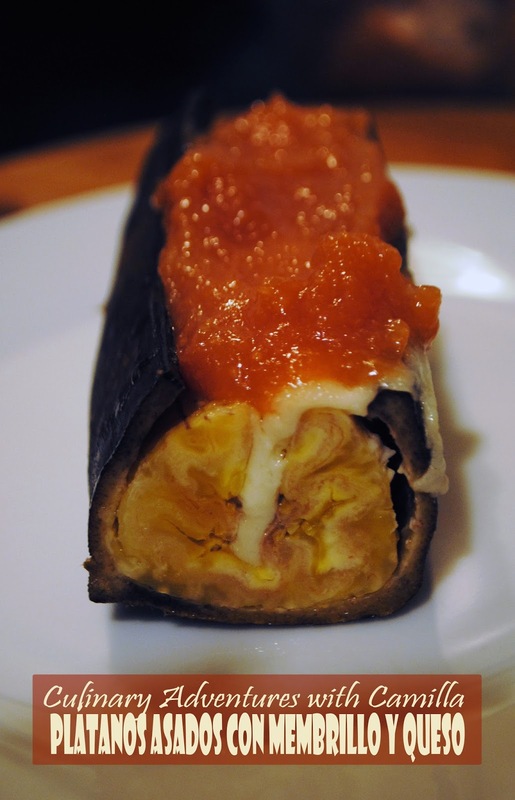 To end our post-Christmas feast - of Columbian eats - I decided to make stuffed plantains. 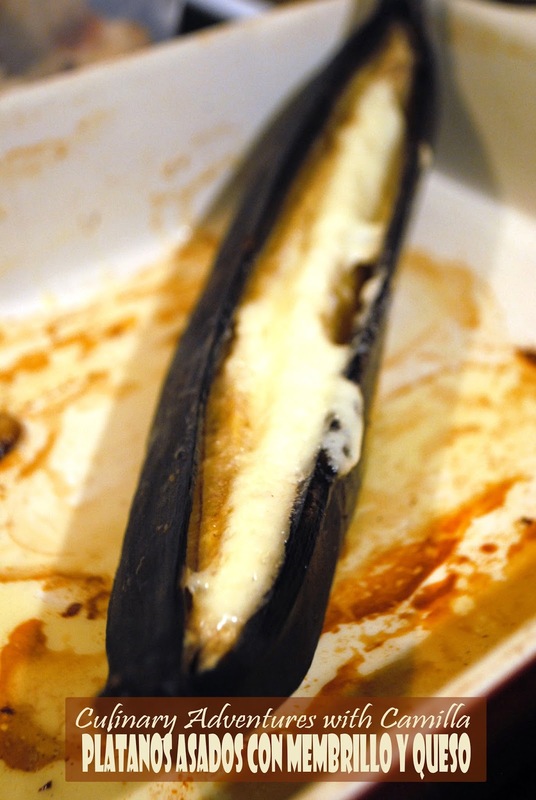 Funny story: when I read the recipe - Plátanos Asados con Bocadillo y Queso - I misinterpreted 'bocadillo' as 'membrillo.' Eh...guava, quince. Whoops. Maybe I was swayed by the stack of fresh quince at the market. 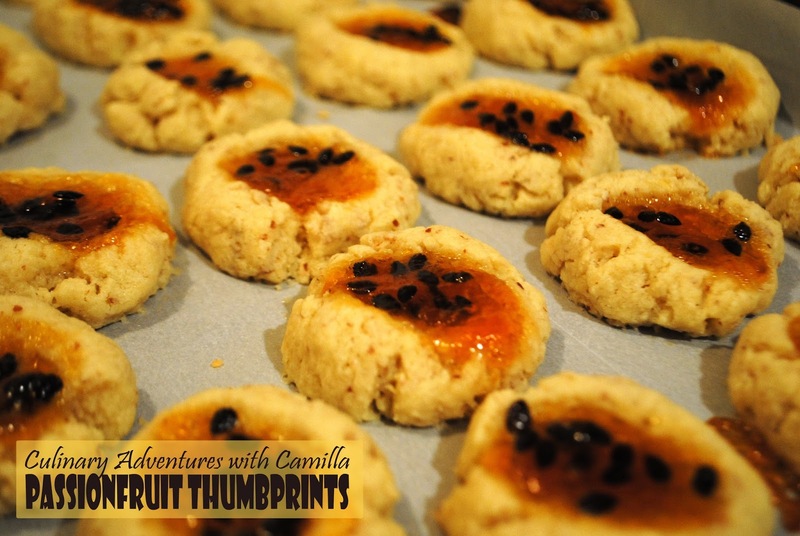 I swooped in, grabbed a handful, and made Homemade Membrillo. Then I realized that I cooked the wrong fruit. Oh, well. I had no time to track down any guava. And this worked just as well. Preheat the oven to 400° F. Slice the plantains lengthwise, cutting through the skin and approximately 3/4 of the way through the fruit. You want the bottom of the boat intact. Gently part the plantain and stuff slices of cheese into the gap. Place the plantains in a rimmed baking dish. 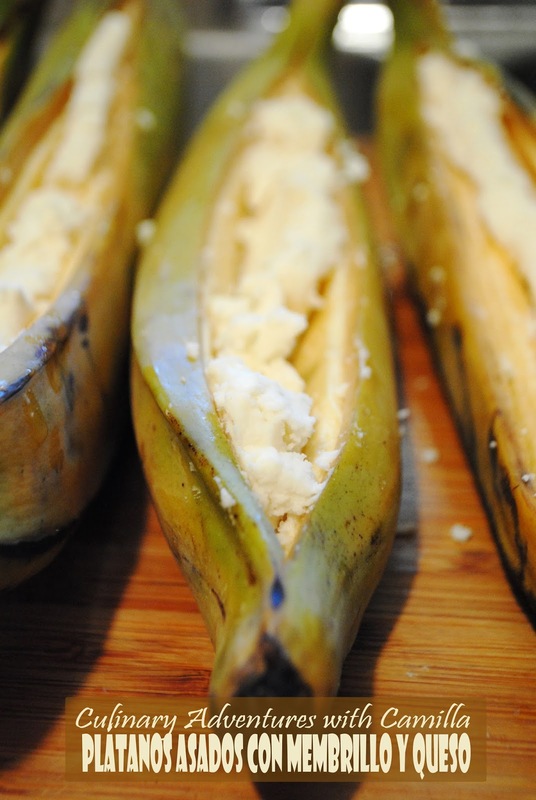 Brush the stuffed plantains with melted butter. Cover with foil. Bake for 40 minutes. To serve: cut into serving sized pieces (I got three out of one plantain) and spoon the membrillo over the top. 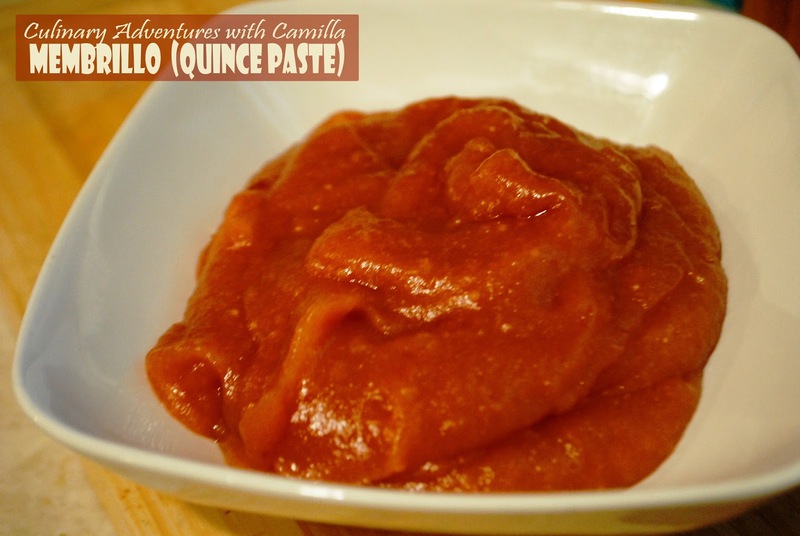 I've always bought my quince paste - despite my complete obsession with all things quince. I figured it was time to make my own. 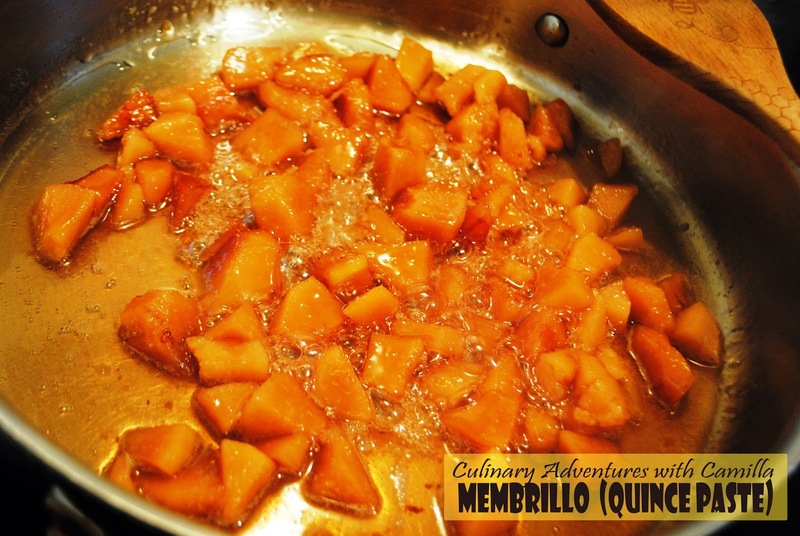 Besides I thought that the recipe I was making called for membrillo. Turns out, it used bocadillo which is made with guava. Whoops. 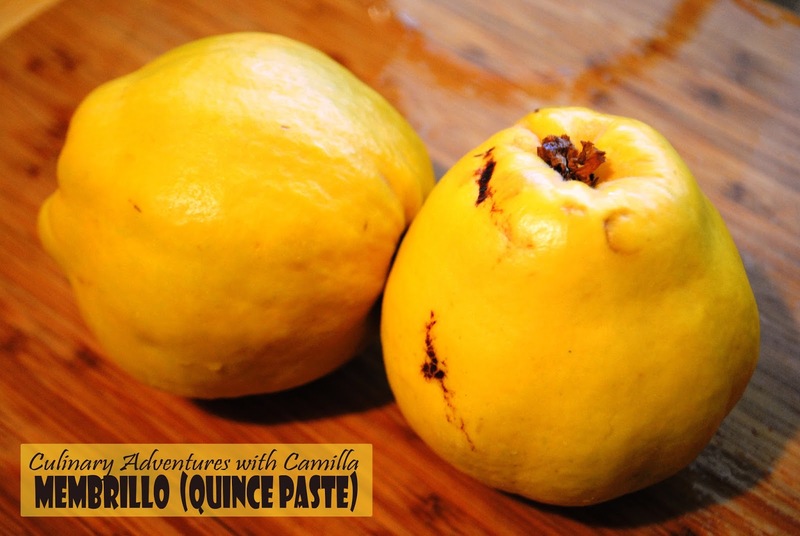 Place quince and water in a large saucepan. Bring to a boil. Reduce heat and simmer for an hour. Pour the poached quince, its poaching liquid, and sugar into a large, flat-bottom pan that will allow the liquid to evaporate more easily. Cook until the liquid thickens to a syrup, approximately 15 to 20 minutes, and is mostly evaporated. Let cool slightly and process in a blender until smooth. I used it at this stage, However, if you want the traditional texture of membrillo - which you can cut into slices and serve with manchego - spoon the paste into a parchment-lined baking dish and bake till dried. 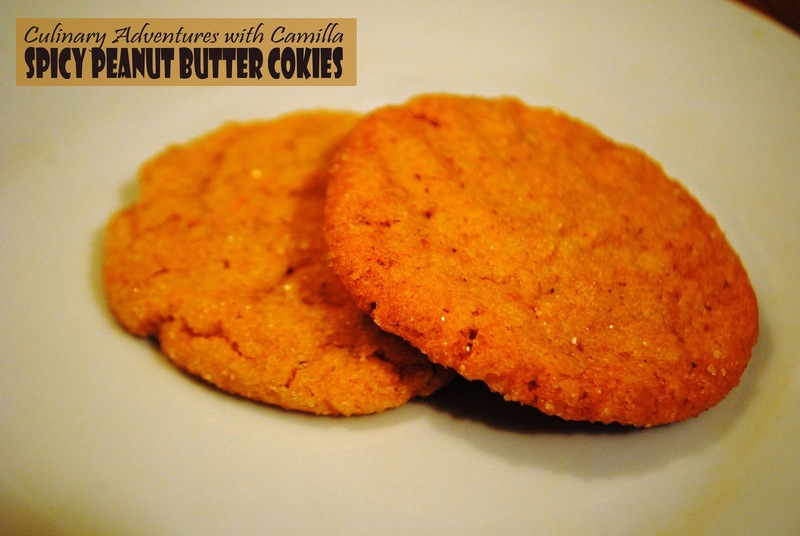 I love that these don't involve any baking but they look phenomenal on a cookie platter. 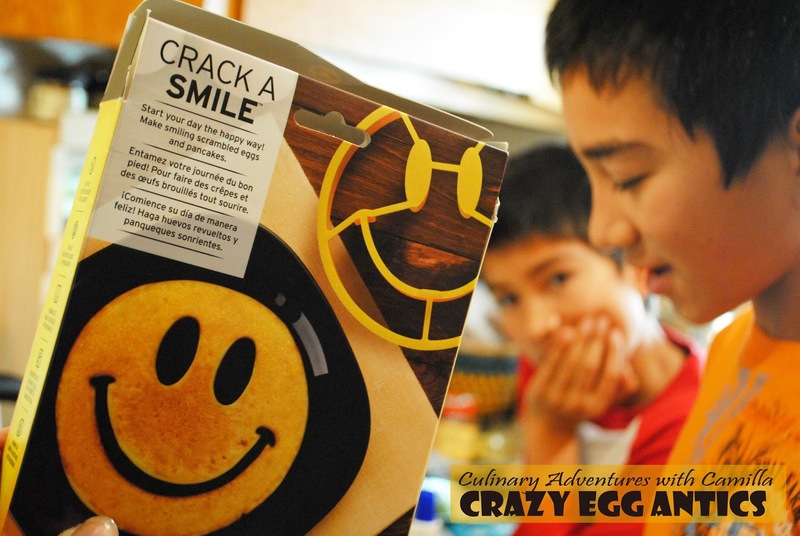 They are ridiculously easy to make, too. In a large bowl, stir together coconut and condensed milk; it will form a thick, sticky paste. Roll mixture into 1" balls - you should get about 3 dozen balls from this quantity. 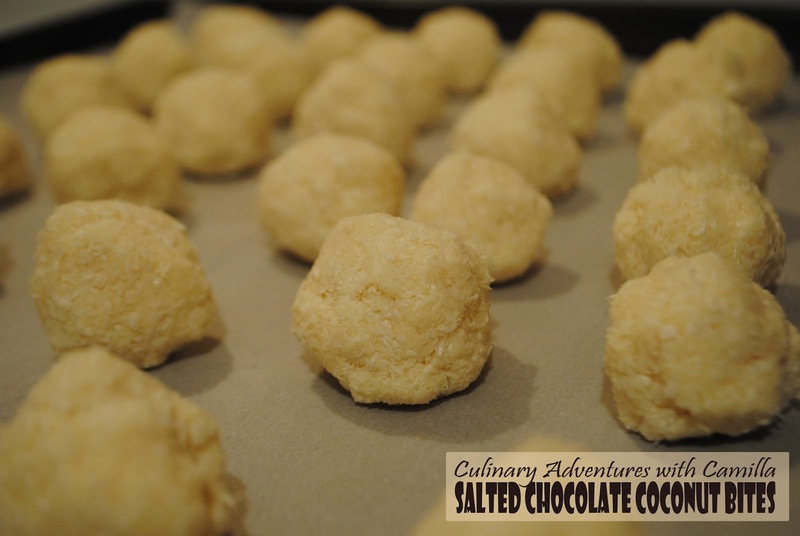 Place coconut balls on a parchment-lined baking sheet. Put the tray in the freezer form, at least, 30 minutes. 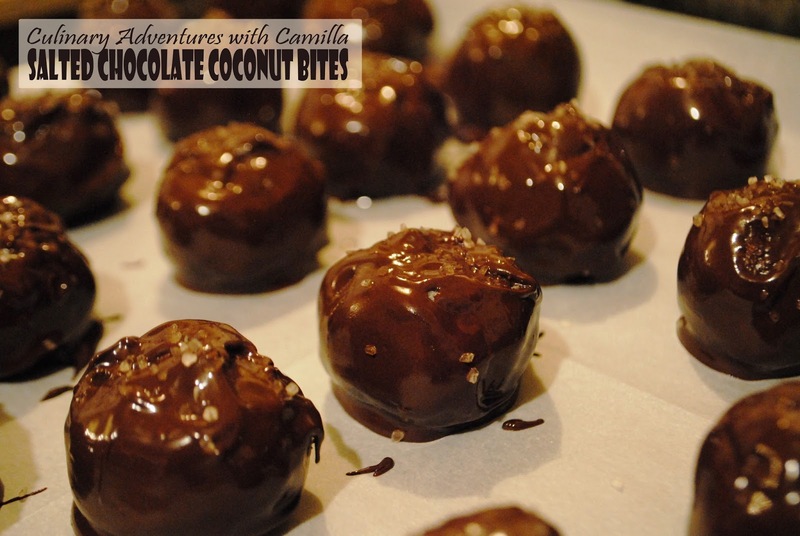 While balls are chilling, temper your chocolate over a double boiler. 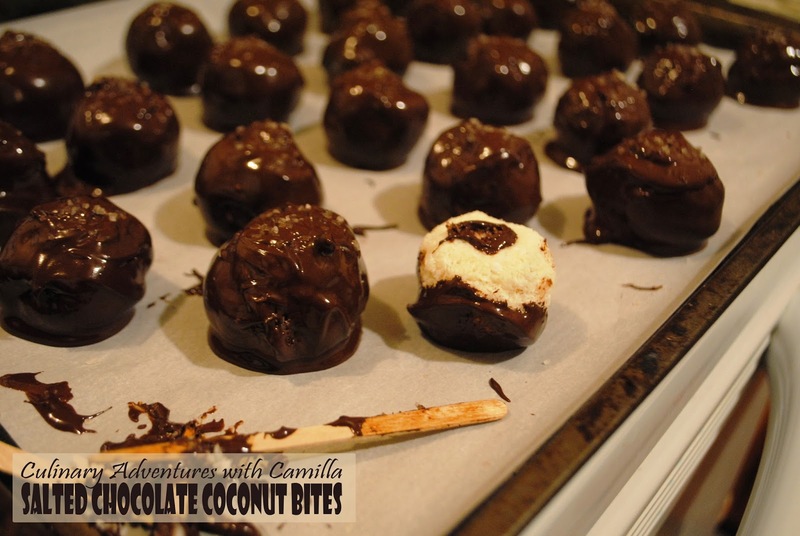 Using two toothpicks or forks, dip the coconut balls into the chocolate, covering evenly. Move the balls back to the tray and finish coating them completely. Sprinkle with salt. Let chocolate set, on the counter or in the fridge. Devour immediately...or store in an air-tight container. I have had this on my to-do list for a ridiculously long time. But I never got around to it. I don't know why. 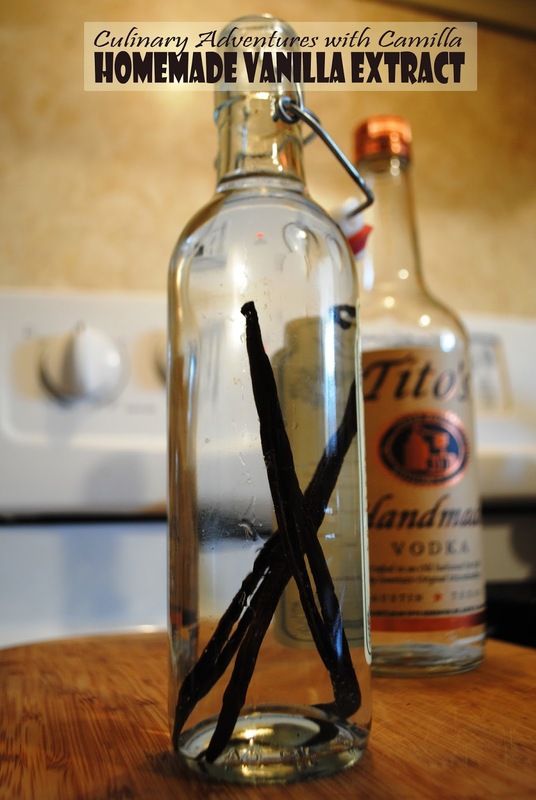 I have vanilla; I have jars; and I, usually, have vodka. 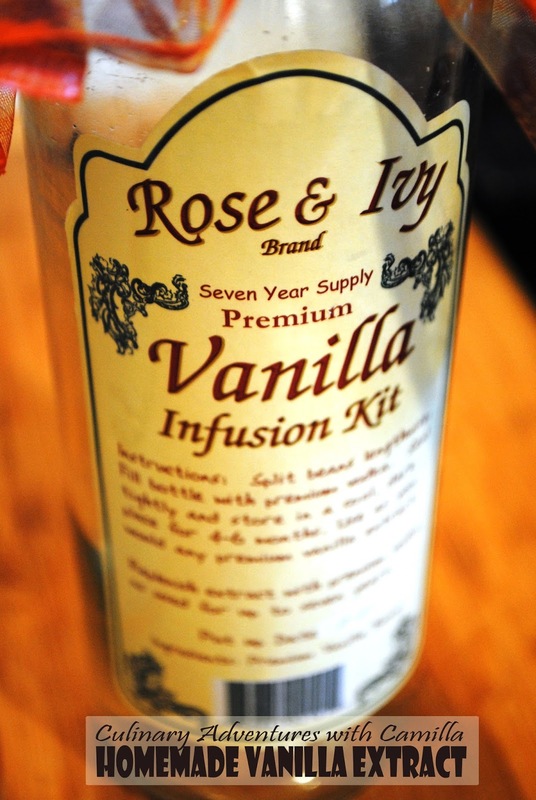 Still it took until we got this vanilla infusion kit at the family Christmas party this week for me to actually do it. Funny story: D picked this through the White Elephant Gift Exchange. My uncle tried to steal it from him. "I want that vodka," he declared. There's no vodka, I retorted. 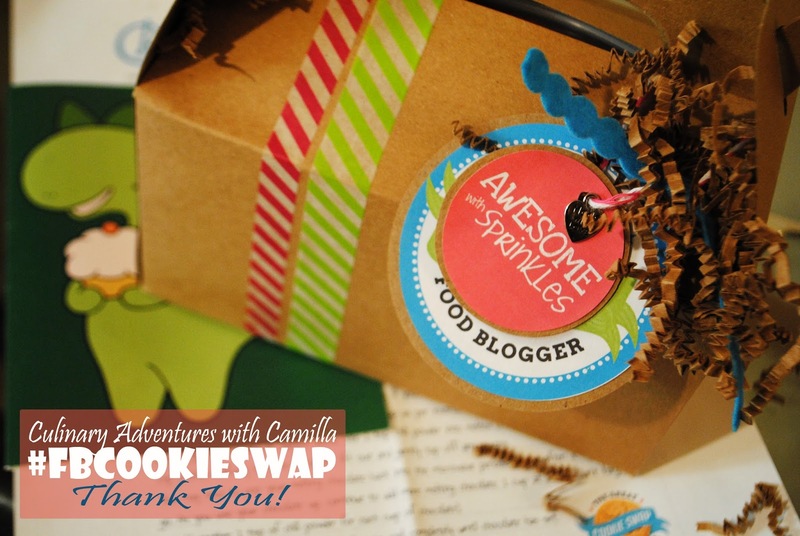 It's a homemade vanilla extract kit. Later, when I looked in the bag and there actually was vodka. Whoops. I would have given him that vodka and kept the vanilla had I known. 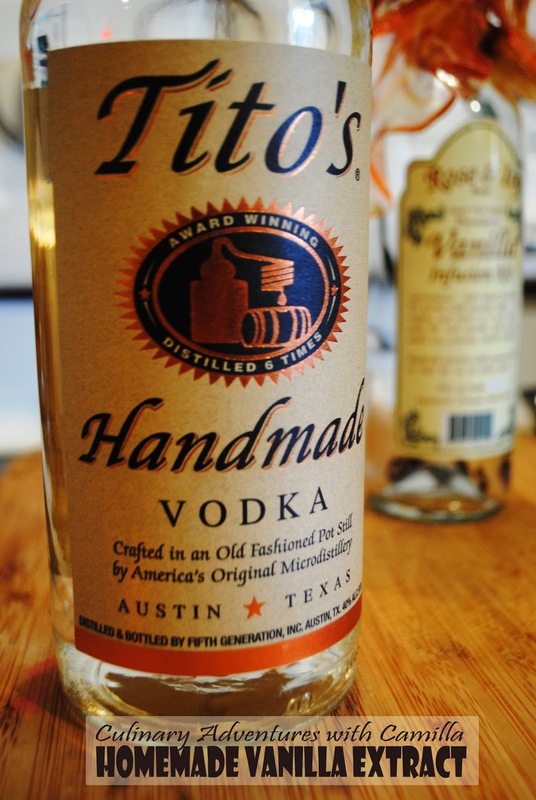 I opted to use Tito's Handmade Vodka out of Austin, Texas. My rule: I don't cook with anything that I wouldn't drink straight. Tito's is a great story and this is a great vodka. Thankfully, this recipe didn't use all of Tito's and I still have some for cocktails this week. Slice the vanilla beans lengthwise, letting the caviar show. Don't scrape it out however. Place the beans in your jar. Fill the jar with vodka. Let stand in a cool, dark place for between 4 to 6 months. I'll tell you how it is towards the beginning of July 2015. Wow...I have to be patient. But, I suspect it's gonna be good. For another cookie tray offering for the guys at work, I was inspired by the Chocolate Chili Dipped Sriracha Peanut Butter Cookies that I received from Awesome with Sprinkles for the #FBCookieSwap this year. Click to read more about that event: here. D liked them so much that he asked if Heidi could send some for his birthday dinner party. Ummmm...no. But she did send the recipe. Mine is slightly adapted. I skipped the dipping and I used some hot sauce from my friend Belle. In a mixing bowl, cream together butter, peanut butter and sugar. Slowly add in hot sauce, egg, and vanillaextract. Beat until well-combined. In larger mixing bowl, blend together flour, baking powder, and baking soda. 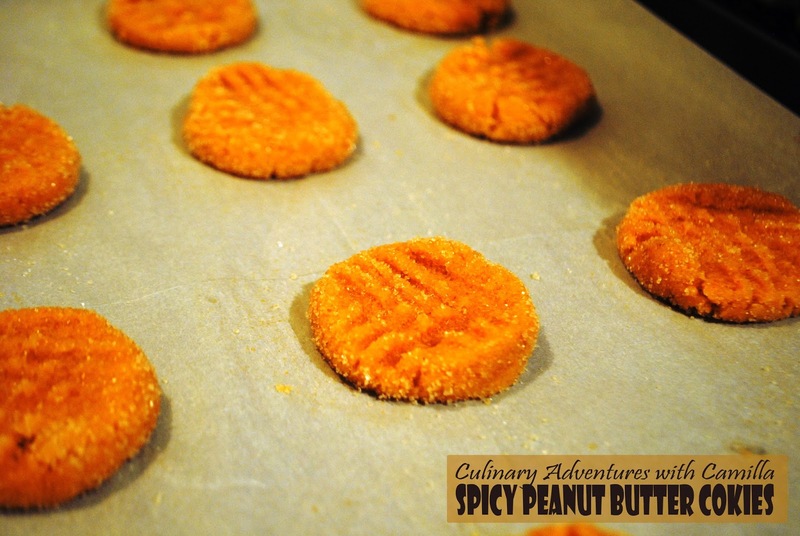 Gently fold flour mixture into peanut butter mixture until completely moistened. Press it into a ball, then let chill for at least an hour. During the last 15 minutes of chilling, preheat oven to 375 degrees F.
Scoop a tablespoon-sized piece of dough and roll into a ball. 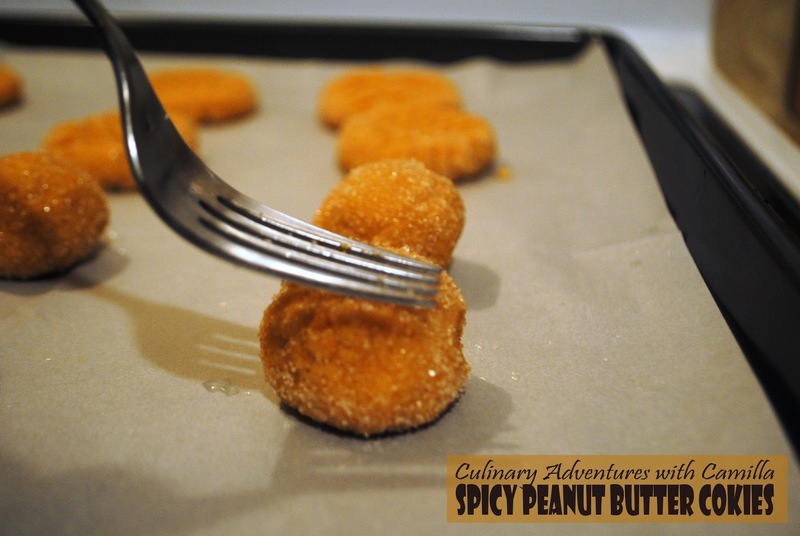 Dip ball into granulated sugar and place onto cookie sheet. 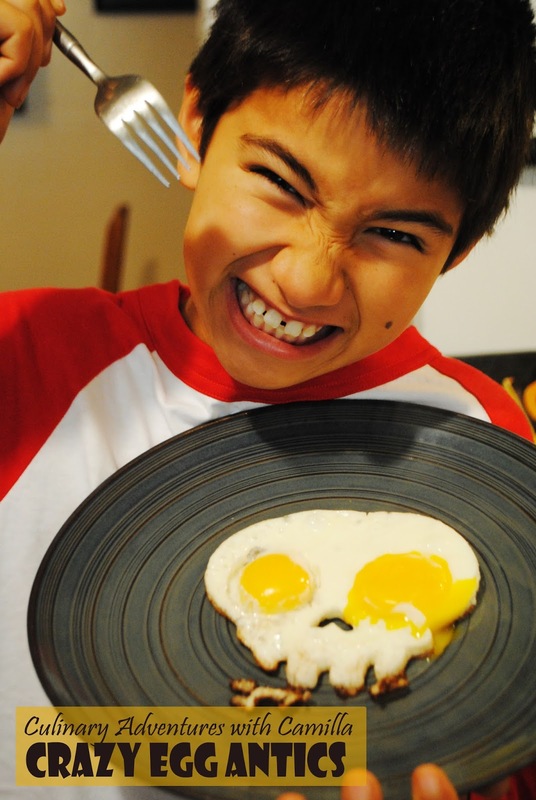 Flatten each ball with a fork, making a criss-cross pattern. Bake for 9 to 11 minutes - or just until the cookies begin to brown. You don't want to over-bake them as they harden while they cool. One of the guys at work nudged about their cookie trays. Okay, I'll make you cookies! So, for the Monday morning meeting last week, I whipped up a bunch of different cookies. Merry Christmas! Preheat the oven to 325 degrees F. In a large mixing bowl, cream together the butter and sugar until light and fluffy. 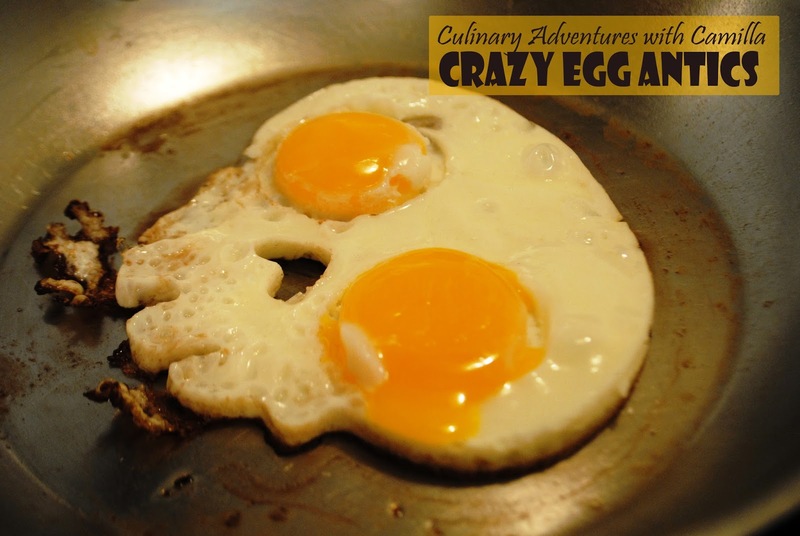 Blend in the egg yolks until incorporated. Stir in the flour and ground almonds until a flaky dough is formed. Add in the zest, water, and vodka, gently working the dough until it forms a ball. 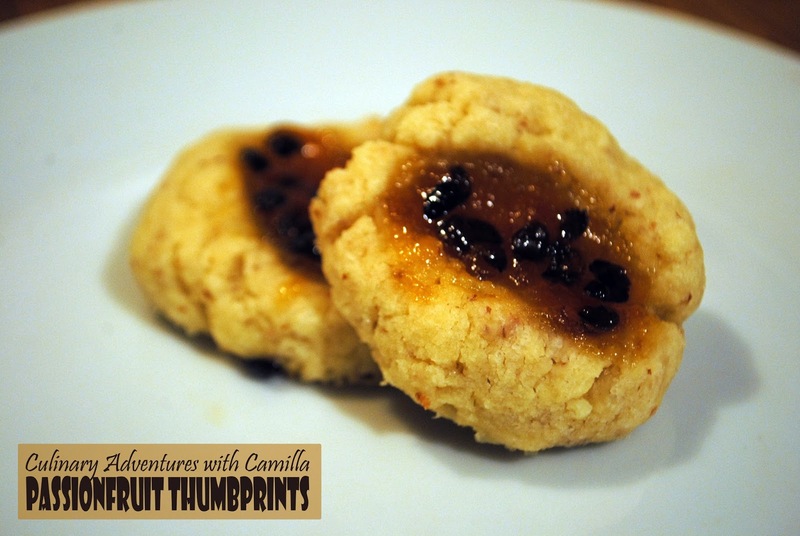 Add about 1/2 t to 1 t of whatever jam or jelly you have on hand to each thumbprint. Bake until golden brown, about 20 minutes. 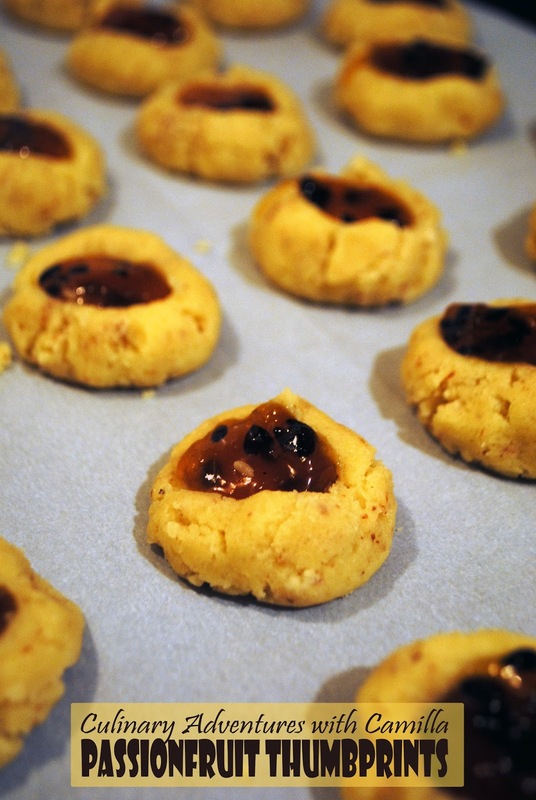 Let cookies cool for several minutes on the sheet before transferring to a wire cooling rack to cool completely. "Mom, we need to make cookies," declared the Precise Kitchen Elf. It was 9 o'clock on Christmas Eve. Outloud: What?!? No...it's bed time. Past bed time. In my head: I have to wrap presents from Santa...and I don't want to be up past midnight. "But, Mom! We need to leave cookies for Santa." Note - leaving cookies out is not a tradition in our house. We leave carrots and celery in the klompens I wore as a child in Holland. 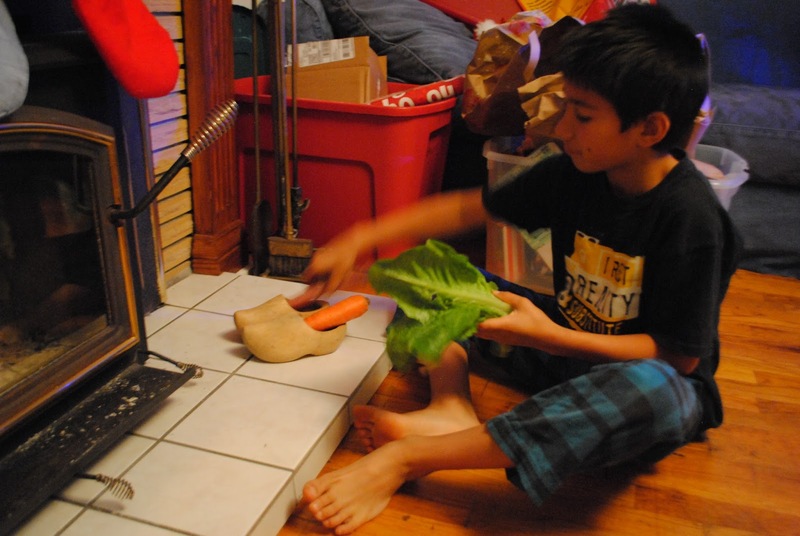 D already put the carrots and celery out for the reindeer. "Santa doesn't eat those. He needs cookies. Mom, please," he begged. Okay, what kind do you want? How about I make them? And you go to bed. The little elf heard the conversation - "I think you need to make some cookies with coffee in them. It's a long night for Santa. He was in Indonesia this morning. And he only have about three hours to get to California." Cookies with coffee. Got it. Now, go to bed! 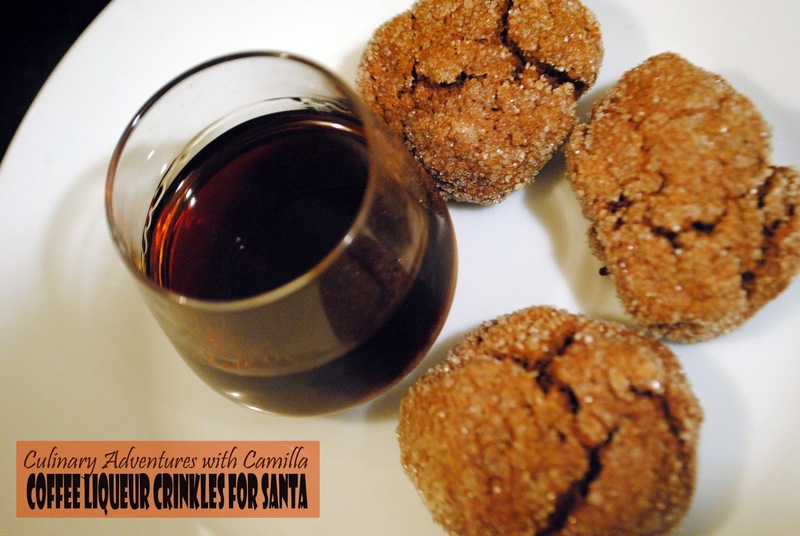 Maybe it's because this elf needed it...I made cookies with coffee and coffee liqueur!! And these are super duper easy. They took me all of 20 minutes from start to finish. Then I got back to my present-wrapping. In a large mixing bowl, cream together the butter, 1 C sugar, vanilla extract, and coffee liqueur for about 3 to 4 minutes (until light and fluffy). 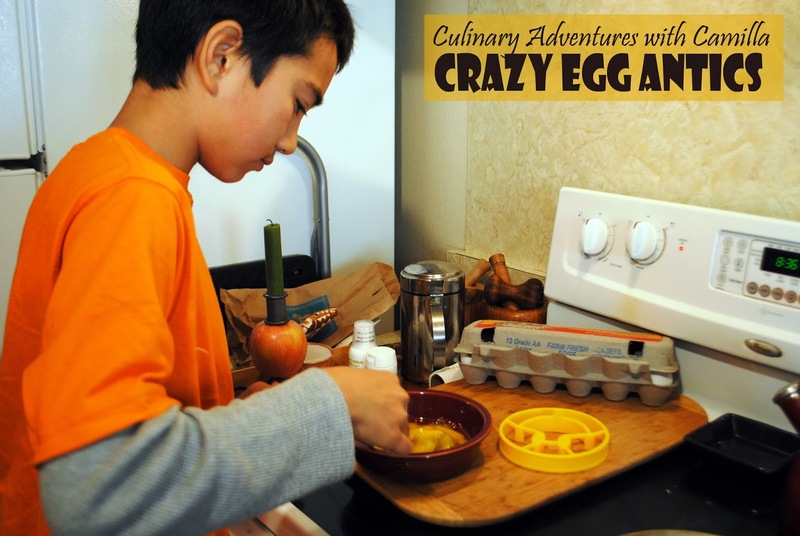 Add eggs - one at a time - and beat till well-combined. Fold in the flour mixture with a spatula. Using a tablespoon, scoop up dough. Roll the dough into a ball. Roll the ball in sugar until completely coated. Place the balls on the prepared baking sheet, spacing them out by at least an inch. Bake cookies for 10 to 12 minutes, until crackled and puffed. Let cool. I have seen this spelled a couple of different ways - dukkah, dakka, duqqa. However you spell it, you must try this versatile spice blend. I'm going to spell it the first way. 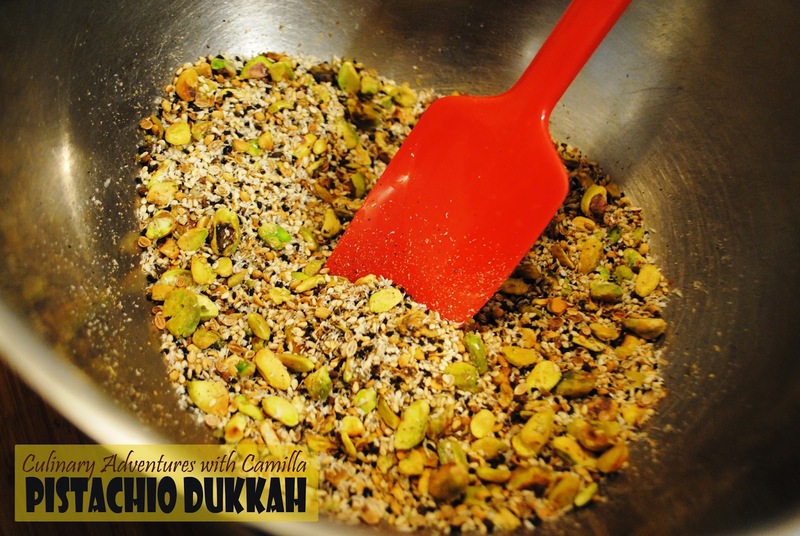 Dukkah is an Egyptian spice blend, consisting of herbs, nuts - usually hazelnut -, and spices. The word is derived from the Arabic word for "to pound"; the mixture of spices and nuts are pounded together after being dry roasted. The actual ingredients of the spice mix vary from cook to cook though there are common ingredients, such as sesame, coriander, cumin, salt and pepper. I changed it up a little with some sweetness and used pistachios because I liked the color. Toast coriander, cumin, cardamom seeds, and green peppercorns in a small skillet over medium heat until fragrant, approximately 2 minutes. Agitate constantly so that they do not burn. 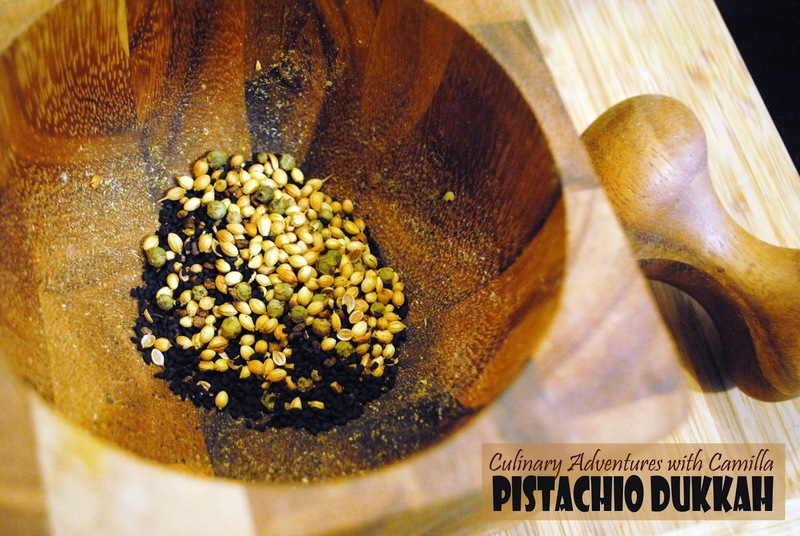 Let spices cool, then transfer to a mortar and pestle. Crush to desired consistency. I prefer mine still chunky and rustic, but feel free to grind as fine as you like. 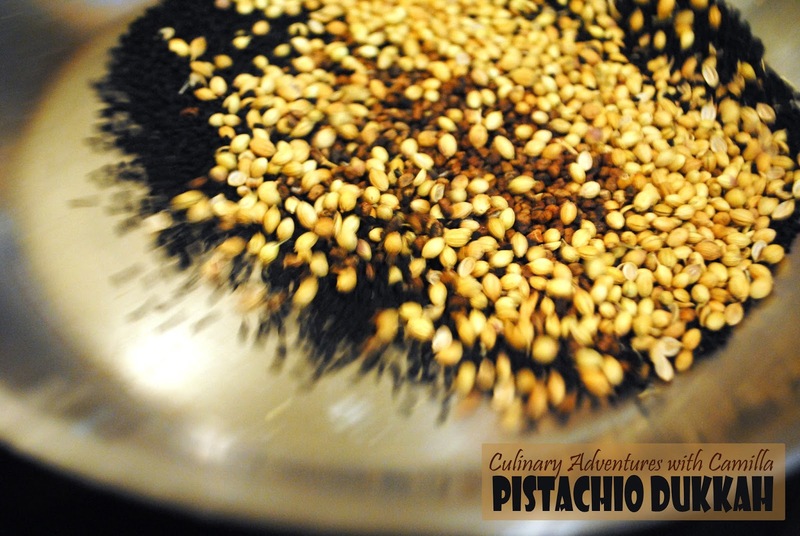 Meanwhile, roast sesame seeds and pistachios in a small skillet until golden, approximately 5 minutes. 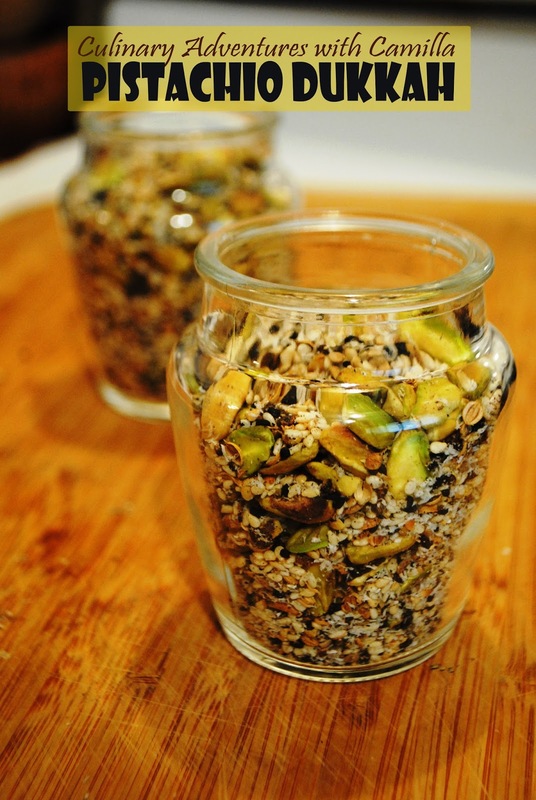 In a large mixing bowl, blend together the toasted spices, seeds, and nuts. Stir in the coconut and salt. Let cool completely before spooning into jars and sealing. 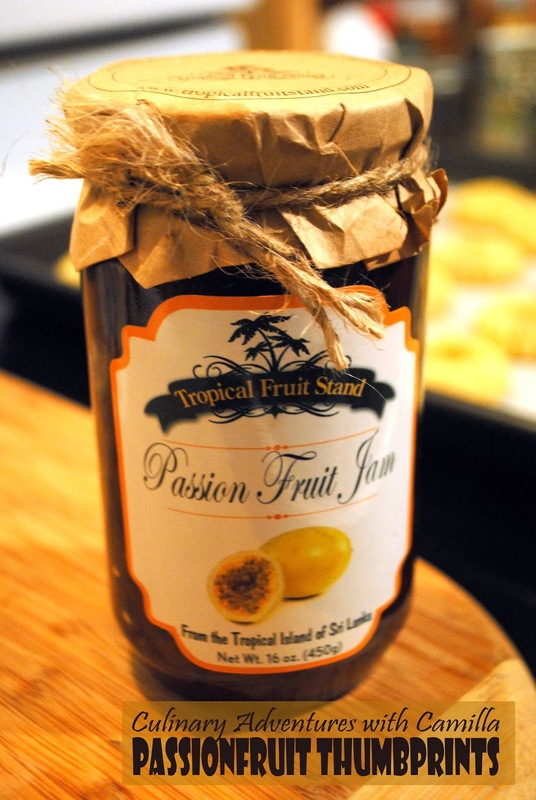 You can add this to olive oil for a tasty dipping sauce for bread. You can add it to salad dressings instead of just salt and pepper. 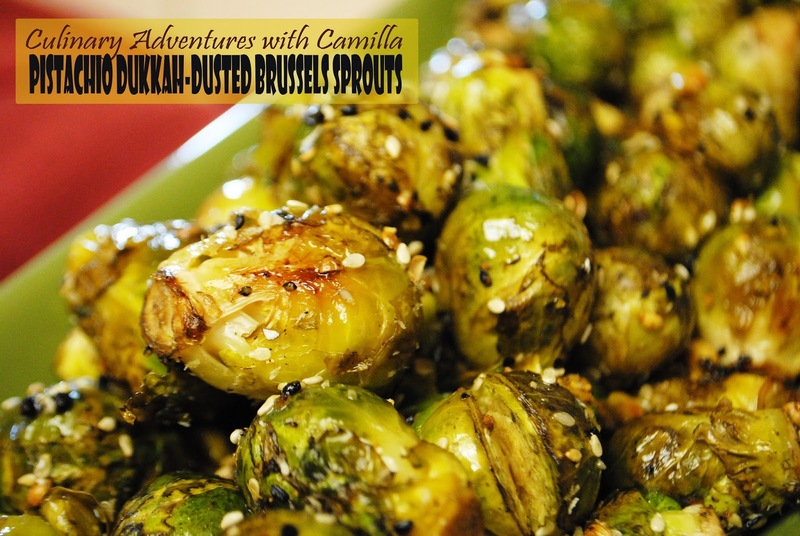 For this batch, I sprinkled it generously on oven-roasted Brussels sprouts for our large family's Christmas potluck dinner. It was a hit. D had planned to serve a sea urchin soup for his birthday dinner. Here's the original recipe for his Spiced Coconut-Sea Urchin Soup. Our usual go-to for urchin told us that their order comes in on Thursday and it wouldn't be good on Tuesday. But Ms. Shiho went out of her way to check with some fisherman friends of hers. No luck. I called a fish place on the commercial wharf that sometimes has it. No luck. 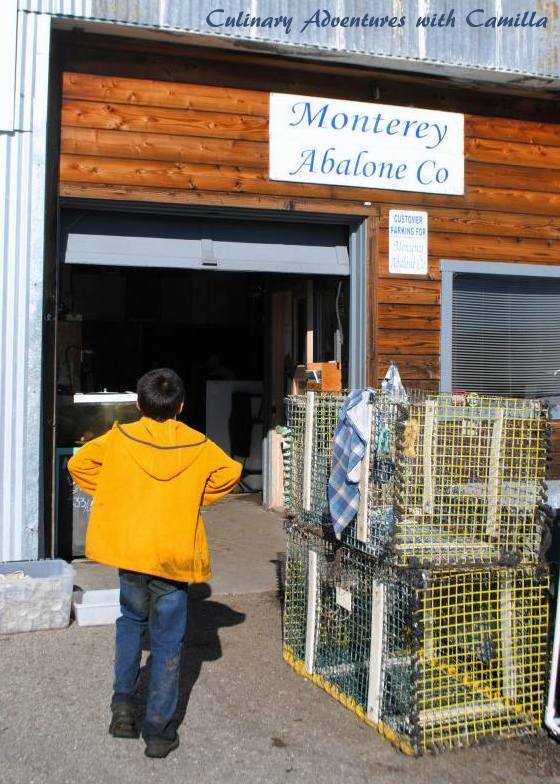 So, our last resort was Monterey Abalone. I thought: we'll just clean two fresh ones and change the menu to "sea urchin-flecked soup." But those hopes were dashed, too, when they told us that there wouldn't have any available to January. 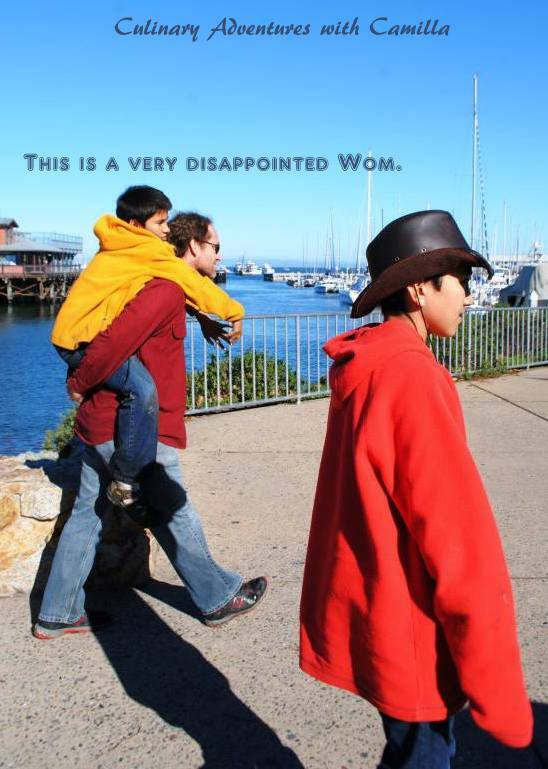 D was so, so sad and very disappointed. But, always my sunny boy, he concluded, "it's okay, Mom, we just have to change the menu for tonight, but I'll make urchin soup for my friends in January." 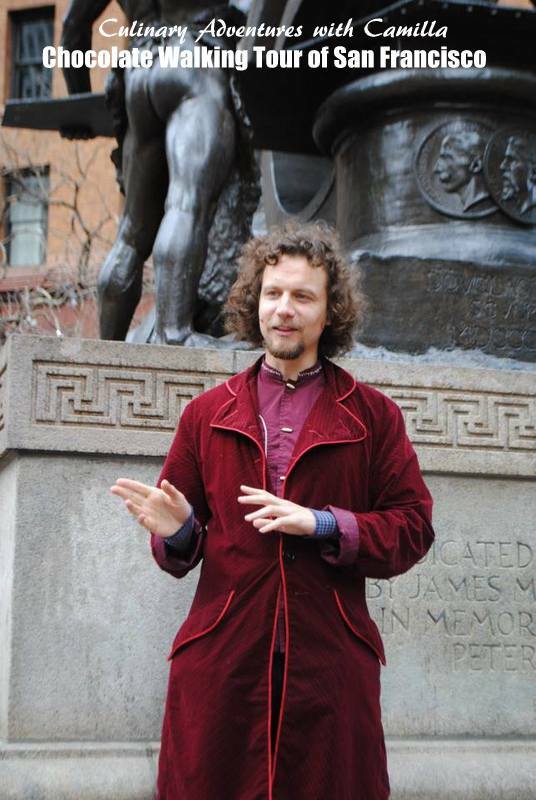 Our tour guide, Michelangelo, was very funny and very well-informed about chocolate history. And - best part! 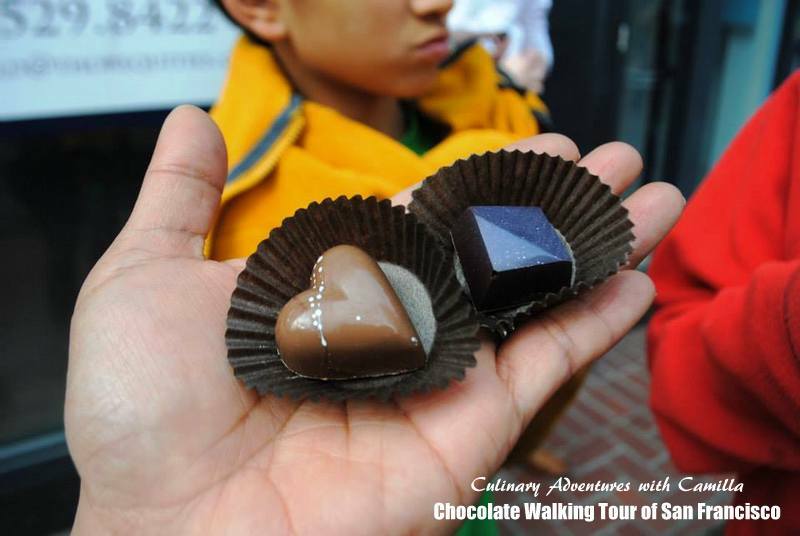 - he let me know about some other chocolate must-trys in the City that weren't included in the walk. I love locals' tips. We'll definitely head back up and check out those other spots another time. The first two stops on the tour itinerary were actually closed. I wasn't sure if it was because of the holiday - or because it was Sunday (and, perhaps, Michelangelo doesn't usually do Sundays), but our guide seemed genuinely surprised. Fog City News: This was closed. NewTree: This was also closed. Spicely Organic Spices: This was our absolute favorite stop on the tour - so much so that D changed his planned dessert course for his birthday dinner party. 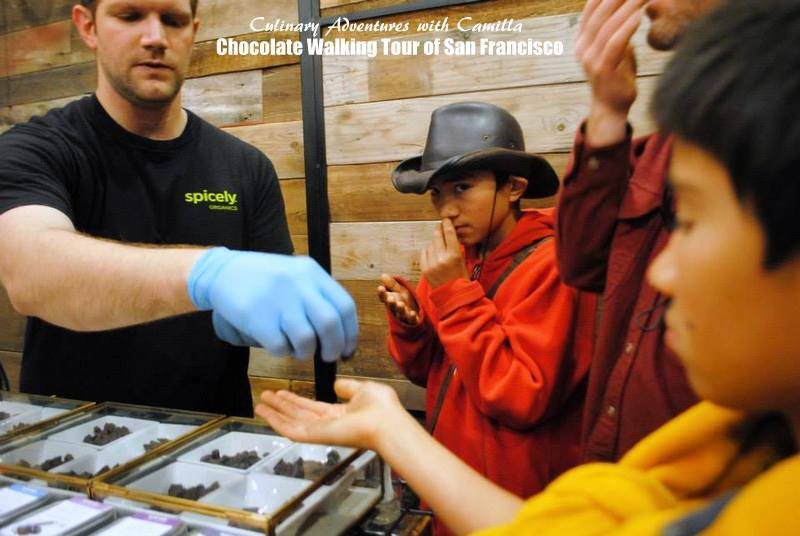 He curated a 12-chocolate tasting with deliciousness from here. Can you say "saffron white chocolate"? "Sage-Lavender-Orange"? Yep. Those are just two of his choices. Ghirardelli's: A San Francisco institution not to be missed. However, no real tasting here except for the standard seasonal square that anyone would get if they walked in to the store. 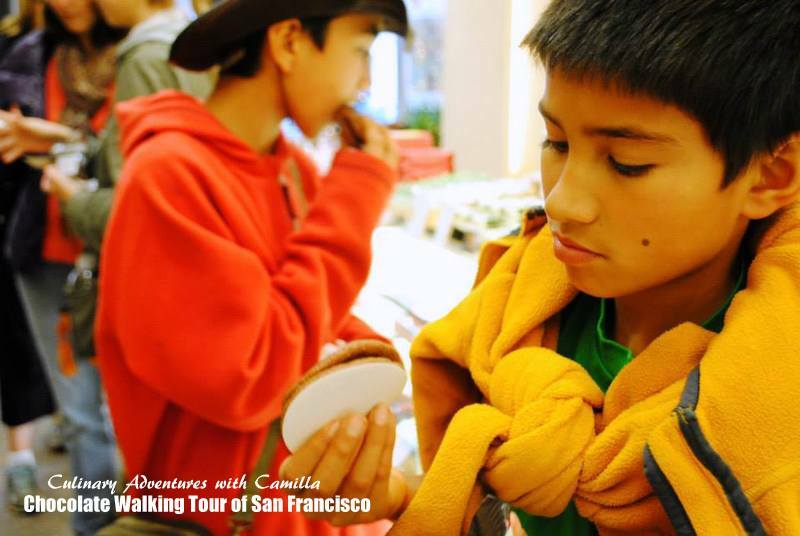 Minamoto Kitchoan: A boutique full of Japanese-style sweets for tea ceremonies. I would never have walked into that store on my own. So, it was good to be introduced to it this way. D loved the texture of the treat; R and Jake were fascinated by the lacquered foods on display. Chocolatier Blue: Berkeley-based chocolatier sells his gorgeous confections out of an old Tiffany store. They look like jewelry...sort of. We tried a gingerbread (that's the heart) and sugar plum (looks like a sapphire). Gotta say - gorgeous but way too sweet for my tastes. I prefer my chocolate unadorned, or - at the very least - subtly infused. CocoaBella: We were all chocolated-out by the time we got to the last stop. Again, this was a boutique with some very pretty chocolates and confections. I love that they were arranged geographically. You could buy chocolates from around the world! We love shortbread. I love that it's shippable to friend and family far away. And it's so easy - and flexible - to make. The kids who were in my Spice it Up! class still talk about the Sage Shortbread; I sent Matcha-Black Sesame Shortbread to my #FBCookieSwap recipients in 2013; but I think my favorite has been the Salted Fennel Pollen Shortbread. 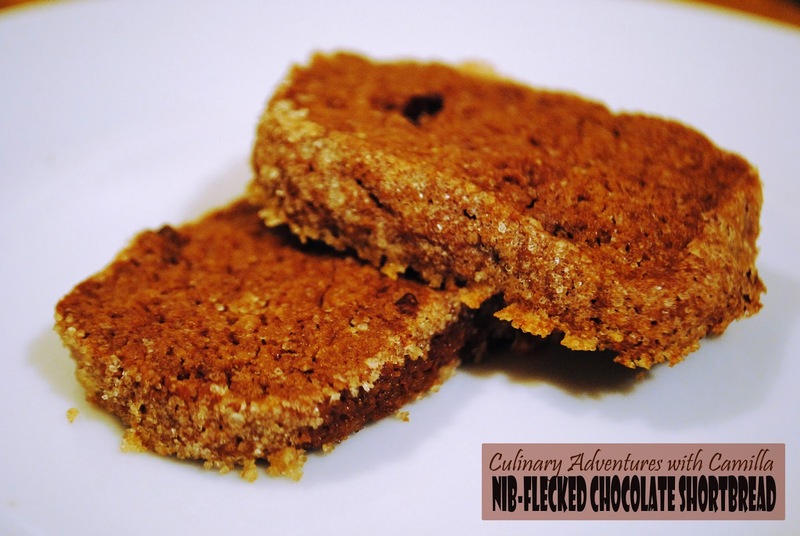 I realized that I have never made a chocolate shortbread. I had to fix that after our Chocolate Tour in The City yesterday afternoon. I added in raw cacao nibs and some instant espresso for even more decadence. Beat the butter and sugar together until fluffy. 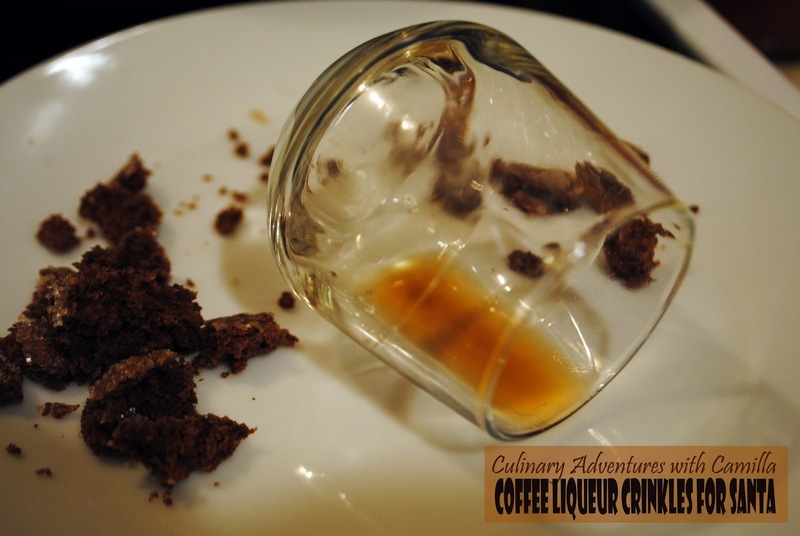 Stir in honey and espresso powder until well combined. 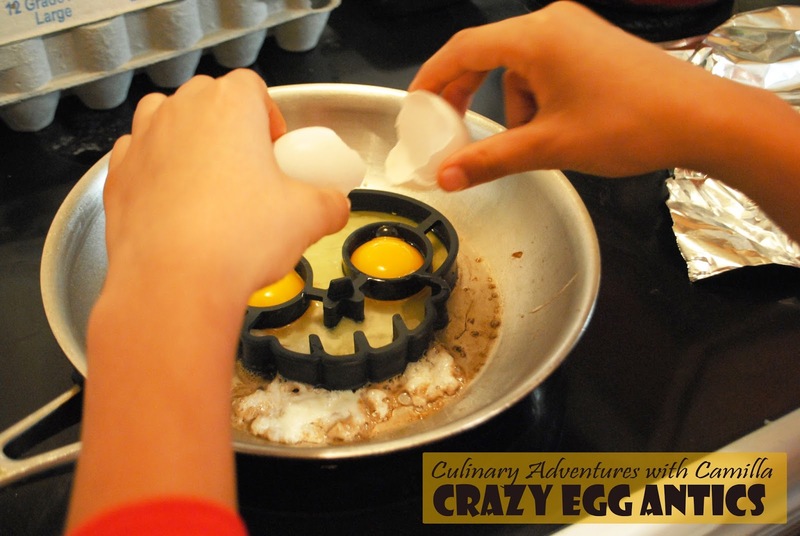 Beat in the egg, then carefully fold in the flour, cocoa powder, and nibs. Roll the dough into a long cylinder. Flatten the cylinder into a circular or rectangular shape, pressing sugar into the edges. Put the dough in plastic wrap and chill for about an hour, until the dough is firm enough to slice. In the last 15 minutes of the dough chilling, preheat the oven to 375 degrees. Using a sharp knife, cut the dough widthwise into 1/4" slices and place, slightly apart, on the baking sheets. Sprinkle with more sugar, if desired, and bake for 16-18 minutes until slightly raised.